One Piece Chapter 929 Release Date & Spoilers: Who is Zoro's new friend? One Piece Chapter 929 Release Date & Spoilers: Who is Zoro’s new friend? There have been some interesting One Piece chapter 929 spoilers and with a possible release date. The interesting thing is the rumors that refers Tama of being the Princess Hiyori. Another cool fact that she is yet to appear on the manga. And so much emphasis is put on this character of not being the missing princess. A leaked photo also shows Zoro with someone not seen before. The series’ creature is very much capable of hiding the identity of important characters which appears to not-so-much important in the early stage. This is the reason why there are some fan theories which suggest Tama could be the princess Hiyori whose mother sent her into the future. It seems that she arrived at an earlier timeline than Momonusuke did. So, it justifies her age. However, it seems that this topic won’t be touched on in chapter 929 of One Piece. 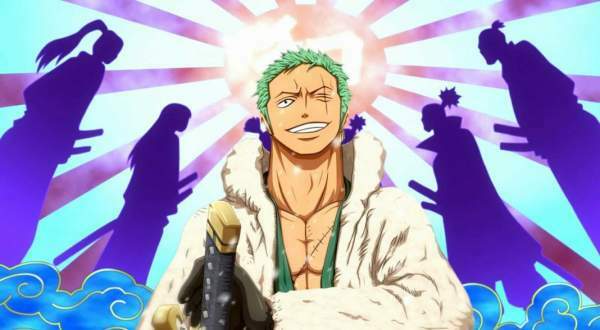 As far as actual leaks of #929 are concerned, a picture was leaked which shows Zoro with a new acquaintance. It has given birth to new speculations which say that the swordsman may have planned to finally rescue Luffy from the prison. And this could be one of the prisoners hinted in the previous chapters. However, there has been no confirmation so far. Whatever the case may be, the things will become clear as we proceed into the future chapters. In #929, we may get to know a bit more about the escape plans as well. Stay tuned to The Tribune Voice for more info as One Piece chapter 929 is going to release on January 7, 2019. So, it is worth waiting for. Don’t forget to share your thoughts as well in the comments. How To Watch Game of Thrones Season 8 (GoT S8) Online, on TV and without Cable?